What should you read around Easter time? How about one of these recommended board and picture books? Find both Christian and secular Easter books below, starting with the Christian books first. Please comment below and tell me which books are your favorites. Or if I’ve missed any good titles. . . Learn the basic Biblical Easter story then find the hidden items on each page. For example, when Jesus has supper with his friends, you’ll look for a sack, candle, bread, grapes, cat, cate, head covering, and a pitcher and cup. Large, sturdy tabs help little fingers turn each page. Vibrant art plus a well-summarized story. We had this book when my kids were little. It shares some basics of Jesus’ life as well as his death and resurrection. It’s a kid-friendly introduction to Jesus in a sturdy board book. Even simpler is The Story of Easter by the same author. I really love the Beginner’s Bible series and this full-color sticker book is fantastic for its kid-friendly language and illustrations. 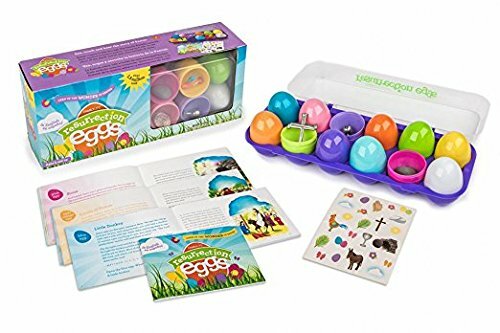 Kids get to read, color, take quizzes, answer questions, write, and use stickers to interact with the Easter story starting with Jesus going to Jerusalem. Related to this is The Beginner’s Bible The Very First Easter. I haven’t read this myself but it looks like an illustrated retelling of the Easter story meant for children ages 5 and up. Each section tells part of the Easter story, shares a Bible verse, and has a lift-the-flap letter from God to you, the reader. It’s designed for families to read each of the seven sections, one per day, the week before Easter. Papa Bear explains to the cubs in general terms why Easter is part of a bigger story that reminds us how we get to be with Jesus forever as well as relate the Christian story to secular traditions. It’s a long story which may work better for older kids. The cubs Sunday School teacher lets them watch cubs in another class performing The Easter Story play to remind them about the story of Jesus’ death and resurrection. You might also like The Berenstain Bears Easter Fun Sticker & Activity Book. Help find Baby’s Easter eggs by lifting the flaps. Can you find the eggs? Katz always does a great job with her interactive, colorful board books! This is a silly story about how to help the Easter Bunny dye eggs — and survive Skunk’s stinky smells. Hoppi is excited to decorate his first ever Easter egg. He searches for an amazing idea but isn’t sure what to do. Unexpectedly, a blue robin’s egg falls out of its nest. Hoppi takes care of it until the bird hatches. The Easter Bunny loves Hoppi’s kindness and decides the empty blue shell to be the best Easter egg of the year. Gorgeous illustrations! It’s not specifically about Easter but this is a lovely, sweet, beautiful, and heart-warming story. Did I mention lovely? Henkes uses soft pastel colors, repetitive illustrations, and repetition of just a few words to tell the story of an unexpected egg that hatches late, doesn’t fit in, and then, . . . does! Egg’s compellingly beautiful message is a must-read story about acceptance. We love this story about a different hen named Pauline. Whatever she stares at when she’s concentrating to lay an egg, becomes the pattern of the egg. The sky, a ladybug, a quilt pattern, and many more. One day, a lady asks for lots of Pauline’s eggs for an Easter egg hunt. She and Miss Pennywort go to field trips to get inspiration for her eggs. 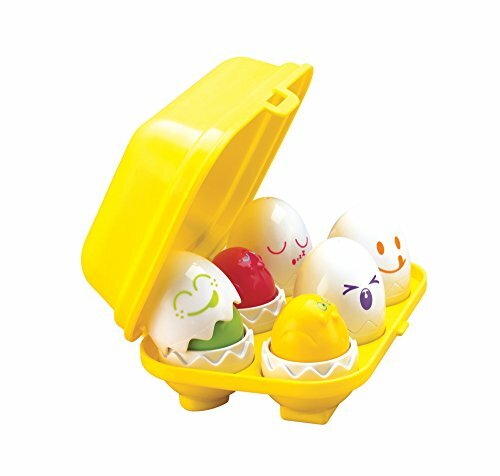 But the eggs they’ve been saving start to hatch! Now there are baby chicks everywhere. What will they do? This rhyming picture book gives kids tips to help you find where the Easter bunny has left her surprises. Start with grasses, twigs, and ribbons for her nest then leave a carrot path and glitter. Then on Easter, you can follow her glitter path to find what she left. Here’s the origin story you never knew about the Easter Bunny. He helps out an older couple who make chocolate and paint Easter eggs for the children; each year helping more and more. Wing’s fun-filled “Night Before” series continues in this familiar rhyming poem featuring the Easter Bunny. In the same style as the “We’re Going on a Bear Hunt” story, follow four rabbits as they hunt for Easter eggs. Open flaps to find tiny animals and eggs. Visually appealing, kids will practice counting as they read this familiar structured, interactive tale. Babushka is known for her beautifully painted eggs. One day, she rescues an injured goose whom she names Rechenka. After Rechenka accidentally breaks all of Babushka’s eggs, she suddenly starts to lay her own beautiful eggs so Babushka has enough eggs for the festival. She knows she must free her goose and sadly says goodbye. But, Rechenka leaves a special gift. Another miracle.